In 1895, the British author Sir Walter Lawrence called the Gurez Valley “one of the most beautiful scenes in all of Kashmir,” where the tourmaline waters of the Kishenganga River are framed by “mountain scarps of indescribable grandeur.” In the book he wrote after traveling throughout the princely state, Lawrence predicted that Gurez would soon become one of Kashmir’s most popular Himalayan tourist destinations. For reasons he never could have foreseen, 120 years later, Gurez is still waiting. India’s approach to Southeast Asia has been lately shifting from one dominated by trade and development to one in which strategic considerations play an important complementary role. This has taken a new form, and is now called the “Act East” Policy, marking also an expansion to include other Indo-Pacific countries. But there are some doubts about whether the ASEAN countries are entirely comfortable with the idea of the “Indo-Pacific.” Several ASEAN states have been lukewarm to the idea, worried about having to take sides between the United States and China. 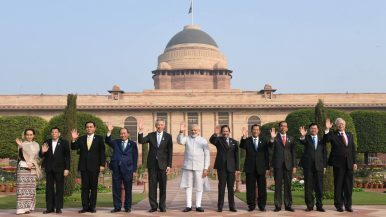 This raises questions about the viability of India’s new “ASEAN-centric” approach to the Indo-Pacific. Pakistan’s recent national and provincial assemblies’ elections saw a significant number of candidates from religious extremist and terrorist outfits campaign. None of them won seats to Pakistan’s National Assembly and only two managed to win seats to the Sindh provincial assembly. On the surface, the elections were a setback for Pakistan’s extremists and terrorists. A closer look at the election campaign and voting trends, however, indicate that there is reason for concern as extremists may have emerged stronger from the July 25 elections. (Editor’s Note : The following is the new concluding chapter of Dr. John J. Mearsheimer’s book The Tragedy of the Great Power Politics. A new, updated edition was released on April 7 and is available via Amazon.) With the end of the Cold War in 1989 and the subsequent collapse of the Soviet Union two years later, the United States emerged as the most powerful state on the planet. Many commentators said we are living in a unipolar world for the first time in history, which is another way of saying America is the only great power in the international system. If that statement is true, it makes little sense to talk about great-power politics, since there is just one great power. There is no question that the president has reframed the debate on trade in the United States. As I have said many times, after 30 years below the fold in the business section (for you, millennials, that’s a reference to old-fashioned newspapers), trade is now on the front page every day. As it turns out, that has had both good and bad consequences. On the good side, trade policy is now a common topic of conversation, which means, in turn, people are learning about it, whether they want to or not. What is a trade deficit? How long have we had one? Is it good or bad? What is currency manipulation? Why do exchange rates matter? What are subsidies? Dumping? Tariffs? Who, or what is the WTO? What are supply chains, and how do they make things different? People are now asking those questions and getting answers from experts. The answers are not always the same, but that’s fine—people are learning about trade and globalization, and that’s a good thing. Regardless of where they end up, they will be in a better, more informed position to make judgments on our trade policy. So it is with China. We hear a lot about that vast country’s problems and challenges. They are very real and could have major consequences... which we will explore soon… but there’s good news, too. We reviewed some of it last week in China’s Command Innovation. Today, we’ll add a few more positive data points. This article will be a little different than most. Below you’ll read several short vignettes about positive events in China. They aren’t necessarily related and won’t build to any particular conclusion. My goal is simply to demonstrate that China has good news, and even some fabulously great news, much of it quite compelling. Whether it is enough to overcome the challenges is a different question we will address next time. And frankly, the manner in which they are growing clearly makes Western countries uncomfortable, as it is not our usual playground. At China’s eighth Xiangshan Forum in October, a major topic of discussion will be visions and the reality of multilateral maritime security cooperation. The Xiangshan Forum is China’s answer to the British International Institute for Strategic Studies’ Shangri-la Dialogue (SLD), held each summer in Singapore. Beijing views the SLD and its organizers as preferentially providing platforms for outside countries’ perspectives and criticism of China’s policies. Presumably, many of the speakers at the Forum will provide an Asian and Chinese perspective on regional maritime security cooperation and the obstacles to achieving it. Hopefully they will directly or indirectly address critical questions like: whose security; security of or from what; and realistically how to proceed? China’s social networking extends far beyond what the public sees. It’s what you don’t see that is a significant national security issue for the United States. While Chinese state-sponsored network intrusions have been going on for years, 2015 is a key time frame in the development of an intelligence-based version of Facebook. Some of the more notable reported data breaches in 2015 include the Office of Personnel and Management (OPM), Anthem Inc., Premera Blue Cross, United Airlines, Marriott, Hyatt, Hilton, Starwood Hotels and some lesser known names. The following year added recognizable names, like Yahoo (3 billion and 500 million records in separate events), LinkedIn and MySpace. In 2017 Equifax topped the list in notoriety. Yemen’s civil war has made its way back in to the headlines when two missiles were launched at U.S. warships in the Red Sea followed by U.S. retaliation that involved destroying three radar sites in Houthi and Saleh-loyalist areas in Yemen. Yemen doesn’t get nearly as much media coverage as Syria, largely due to the fact that the country is of no real strategic importance to anyone except for Saudi Arabia. That will quickly change if militants can reliably get their hands on anti-ship missiles and make crossing the maritime chokepoint at the Bab el-Mandeb difficult. No viable strategy towards Syria can require a huge new investment in U.S. troops, lives, or treasure, write Michael O'Hanlon and Steven Heydemann; the American public will not tolerate it. But with the right modification of previous policy, updated to reflect current circumstances, it might not be too late to partially salvage what is left of Syria. This piece originally appeared in USA Today. As Syrian forces and Russian warplanes take early steps for a long-awaited offensive against the northwest Syrian province of Idlib, where more than 2 million civilians live amongst several tens of thousands of opposition fighters, catastrophe looms. The White House's Enduring Gamble Over Trade Policy. As the White House finalizes a deal to preserve the North American Free Trade Agreement (NAFTA), the Trump administration will increase trade risks elsewhere. China will have to weather an even bigger squall of tariffs this quarter as trade negotiations stall out. European efforts to neutralize the U.S. auto tariff threat will drag beyond the quarter, but ultimately fail. The Mounting Cost of U.S. Unilateralism. The United States needs all the allies it can get in an era of great power competition. A blunt U.S. policy on tariffs and sanctions will, however, drive strategic middle powers — like Turkey and Pakistan — to seek non-Western alternatives and compel great powers — like Europe — to rebuild their economic and security sovereignty with transatlantic ties under great strain. The Iranian Islamic Revolutionary Guard Corps fired seven surface-to-surface missiles at bases of Kurdish opposition groups in Iraq on September 8. The attack, filmed by an IRGC drone, shows that Iran can carry out precision strikes and is a clear signal to Kurdish opposition groups, and also Baghdad’s supporters in Washington, that Iran will continue to carry out operations in Iraq as part of its policy to exercise influence in the region. It also showcases the precision of Iran's ballistic missile program. According to the Washington Post, as of Aug. 1, U.S. President Donald Trump had made more than 4,000 false or misleading claims since becoming president, an average of roughly 7.6 per day. What’s even more remarkable about Trump is that his lies aren’t even very creative, plausible, or hard to expose: He lies even when the lie is patently absurd and easy to expose. Just consider his latest big whopper: the bizarre claim that nearly 3,000 people didn’t really die as a result of Hurricane Maria in Puerto Rico. According to our self-absorbed and truth-challenged president, the death toll was a fabrication made up by Democrats solely to make him look bad. Poor baby. It seems a common idea in current thinking that the challenges we must deal with in today’s security environment, particularly those related to information and cyber warfare, are somehow new and different from challenges in the past. 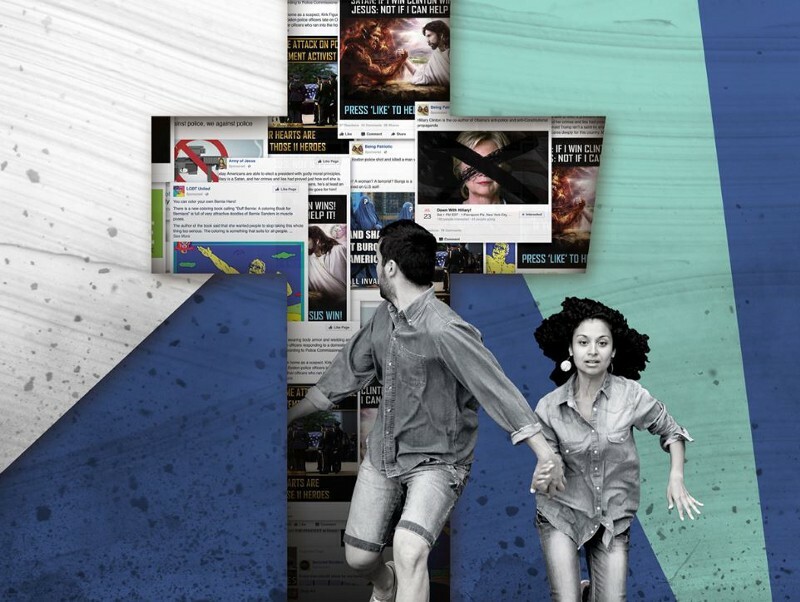 A single actor can have an outsized impact through digital technology, and state-sponsored information warfare appears nearly unstoppable. However, while the tools and impacts are perhaps novel, the theme of these challenges appear to have a familiar ring. In reading the thoughts and words of General Thomas S. Power, third commander of Strategic Air Command and successor of General Curtis LeMay, on deterrence, nuclear warfare, and strategic planning, I began to realize the adversaries of today are still human, and the threats of today may not be so conceptually different from those of the Cold War. By looking back at how a previous generation of strategists considered and communicated their strategic challenges in context, we may be able to gain insights into how to address these modern threats. 21st Century Power: Strategic Superiority for the Modern Era, a contribution to the 21st Century Foundations series from the U.S. Naval Institute Press edited by Brent D. Ziarnick, is a useful resource toward that end. Can Blockchain Technology Bring Smooth Seas to Global Shipping? Distributed ledger technology has the potential to substantially increase the efficiency of the global shipping industry by lowering costs and shortening transit times. First movers will compete to set standards and promote the widespread adoption of the technology needed to realize its full potential to change the industry. Because of the size and overwhelming importance of the Chinese market to global trade, Beijing and Chinese companies developing blockchain platforms for the shipping industry will hold the upper hand over many of their Western counterparts. After I recently asked my twin sons for ideas for fun activities they might want to do with me independent of one another, one suggested he'd love to build a model airplane or to perhaps try flying a drone aircraft. His suggestion made me recall my own childhood fascination with aviation, and we agreed to visit a hobby store soon. Our conversation also sparked thoughts about how the incredible growth of the drone industry might fit into the wider world of sports. Smartphones in the classroom: say yes! I promised myself that I would make a return to social media after a 2-year hiatus if I could manage to steer clear of any drama. “It will be fine,” I told myself. “Just engage in twitter chats with like-minded educators and your feed will be wholesome and pure.” Well. It only took about a month before I accidentally got involved in a debate about cell phones in the classroom. I was told that I have “the brain of a child” and that’s why I can’t understand that phones are bad. Hmm. The new cold war is being fought in cyberspace on a continuing basis and with ever more sophisticated technologies. 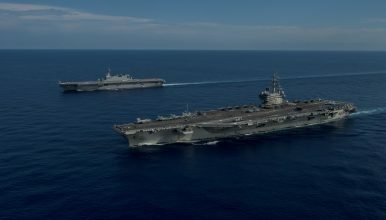 The Western powers, principally the United States and its allies, confront growing intrusions from adversaries ranging from Russia and China to Iran and North Korea. The West doesn’t necessarily have clean hands either. In particular, the NSA (National Security Agency) ranges far and wide in the cyber domains not only of adversaries but often of allies. In short, everyone is spying on everybody else; the difference is that some powers are unrestrained and therefore far more hostile in their endeavours than others. This prevailing situation in cyberspace is captured brilliantly by David E. Sanger in his new book, The perfect weapon: war, sabotage, and fear in the cyber age (Crown, New York, 2018). Sanger is a respected journalist with the New York Times who teaches policy on national security at Harvard’s Kennedy School of Government. He also contributes to CNN. Eric Altamura is a graduate student in the Security Studies Program at Georgetown University’s School of Foreign Service. He previously served for four years on active duty as an armor officer in the United States Army. He regularly writes for Georgetown Security Studies Review and can be found on Twitter @eric_senlu. Divergent Options’ content does not contain information of an official nature nor does the content represent the official position of any government, any organization, or any group. Summary: The targeting of computer networks and digitized information during war can prevent escalation by providing an alternative means for states to create the strategic effects necessary to accomplish limited objectives, thereby bolstering the political viability of the use of force as a lever of state power. The View From Olympus: Are the Generals Risking their Legitimacy? The September 3 New York Times reported that General John Nicholson, our supreme commander in Afghanistan for the last 31 months, in his departing speech as he turned over his command called for an end to the war. Nearly 17 years to the day (since 9/11), now a four-star general departing as the commander of the American and NATO forces in Afghanistan, (General Nicholson) stood under the shade of pine trees in Kabul on Sunday, and delivered an emotional farewell. The general. . . said he wanted to speak from the heart. “It is time for this war in Afghanistan to end,” General Nicholson said. The scenario military thinkers propose would double the number of jet fighters in a typical battle formation from four to eight. But instead of the additional aircraft being identical to an F-35 joint strike fighter, or F-15E Strike Eagle, they are low-cost, unmanned jets. One might carry extra air-to-air missiles. Another may only have a sensor suite to boost situational awareness for the pilots in the traditional aircraft. Whatever their payload, the enemy has to contend with double the number of targets on their radars. They have multiple “dilemmas” in front of them, giving U.S. forces an asymmetric advantage. WORDS OF WAR Decrypting nine new military programs that will change the face of battle.